"Seeking Ithaca in time of crisis." Interactive workshop dedicated to K. Kavafi on the occasion of the Kavafi year. 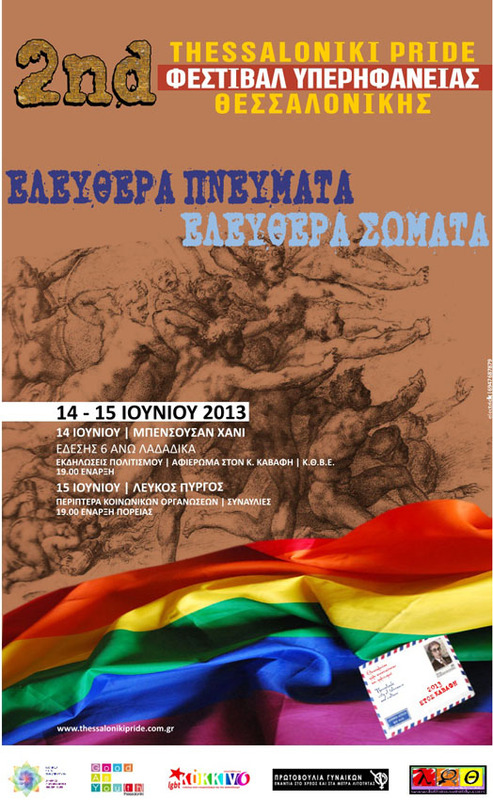 The Ecological Movement of Thessaloniki presents a performance on: "Acceptance and equal rights of gay men in family relations"
Theatrical performance of National Theatre of Northern Greece in cooperation with Homophonia, dedicated to Konstantinos Kavafis, directed by George Kafkas. 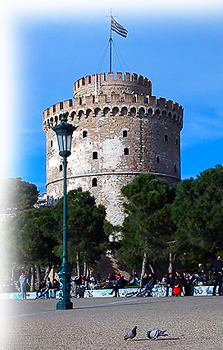 The band of Thessaloniki also participates. 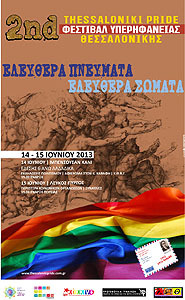 - Exhibition of photographs and paintings. Storytelling and painting for children by the "Rainbow Families"